A technology demo shown Thursday at Microsoft's Build 2015 developer conference in San Francisco may point to a course out of the uncanny valley for digital characters. Square Enix's demo, dubbed Witch Chapter 0, showed a female character crying in the rubble of a city. 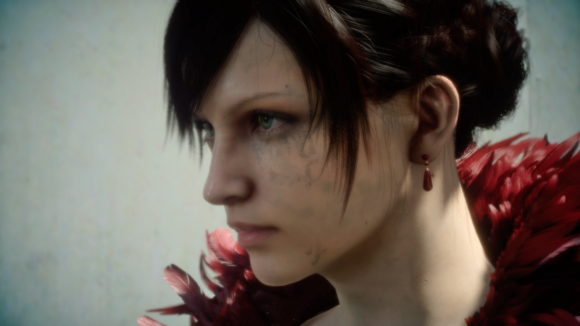 That simple emotion that all humans experience the day they're born is one of the hardest to graphically represent in real-time, Square Enix officials said in a statement issued after the demo was unveiled. Microsoft's involvement in this was to highlight the API that powered the demo: DirectX 12, the new graphics API that Microsoft hopes will woo gamers to the upcoming Windows 10. To prove the demo was real, Microsoft officials showed the demo in a manual mode, pausing and changing angles. 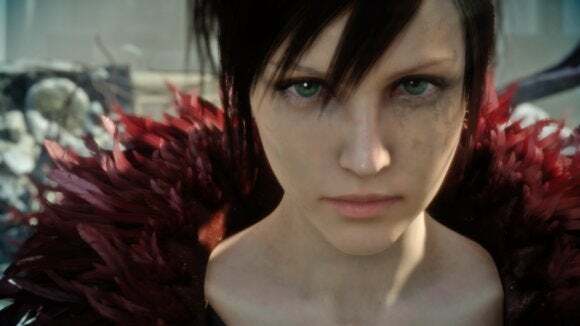 Square said it took a tech demo from 2012 and refined it with better graphics and "improved processing capabilities" to create the crying scene. "The emotion is displayed in a level of quality which has never been seen before with a real-time CG animated character teemed with life," the company said. This is a screen grab from Square Enix's Witch Chapter 0 demo, which simulates crying. Despite immense improvements in the computing and graphics power of PC games in the last decade, CG characters have yet to become truly lifelike. And as you attempt to make characters appear more human, they end up appearing more creepy and lifeless. It's this "uncanny valley" that has vexed robotics and computer graphics for 50 years. That's why Square Enix is particularly proud of the short demo it has produced. This is by no means a sure path out of the uncanny valley, but even graphics company Nvidia chimed in to call the demo a big step forward. 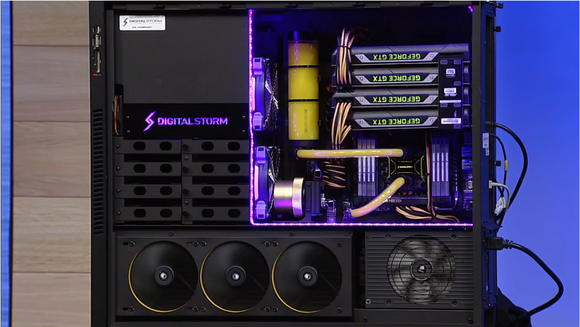 The path out of the uncanny valley appears to go through a liquid-cooled, Digital Storm PC with a Haswell-E CPU and four GeForce Titan X cards. "It’s a demo that may come to represent a milestone in an industry that has long-struggled to cross the 'uncanny valley,'" Nvidia said after the demo. The demo itself was shown running on four GeForce Titan X cards in a Digital Storm system using an Haswell-E chip and custom liquid cooling. Of course, the PC was running Windows 10. The story behind the story: As impressive as Square Enix's demo was, it's still likely a long hike out of the valley—the demo required a ton of high-powered hardware to pull off. And even if the technology and hardware firepower is there to do it, human developers have to actually create all that lifelike eye candy, which takes an immense amount of time.